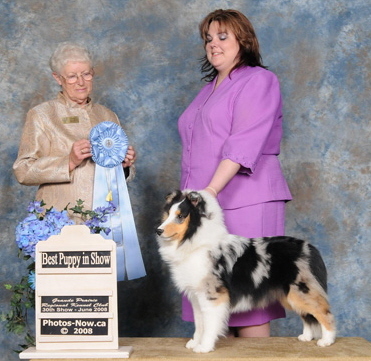 Blitz headed north to Grande Prairie just after turning 7 months where he finished his championship and cruised onto a Best Puppy in Show under judge Betty McHugh guided by his buddy Jenn, Great job Jenn! 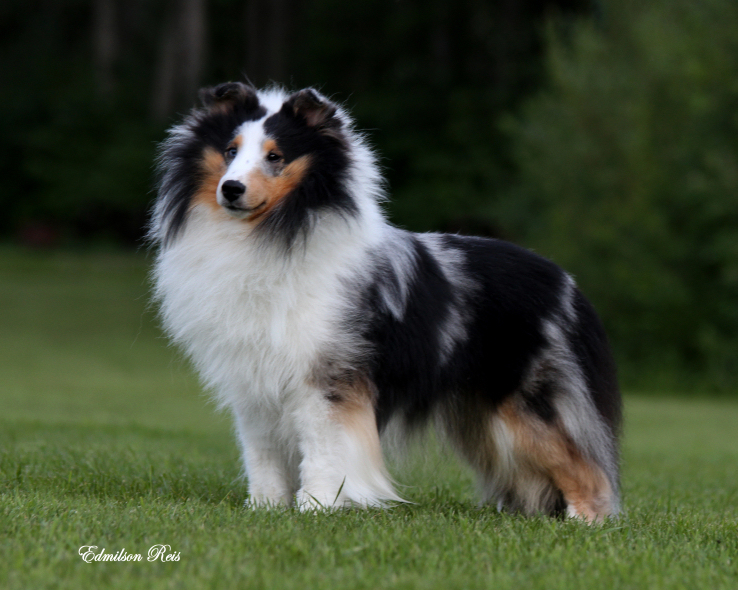 Blitz has proven to be quite the sire as he has 2 champions from his first litter! 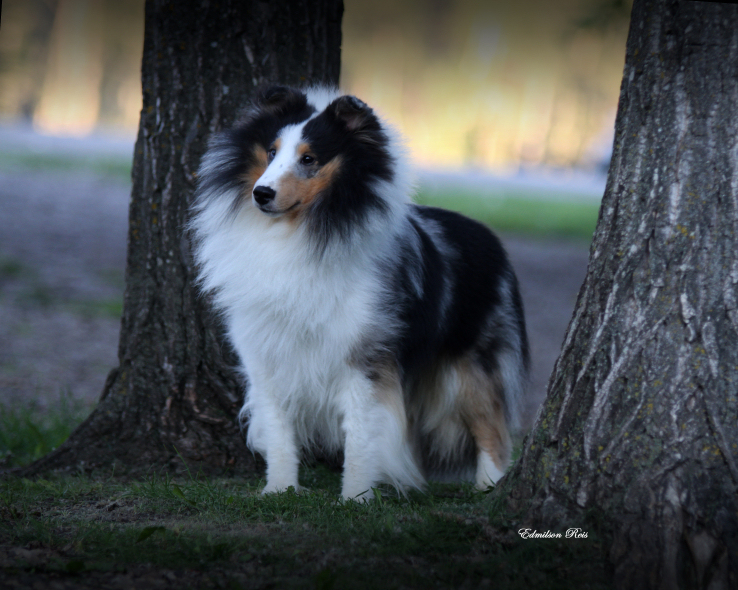 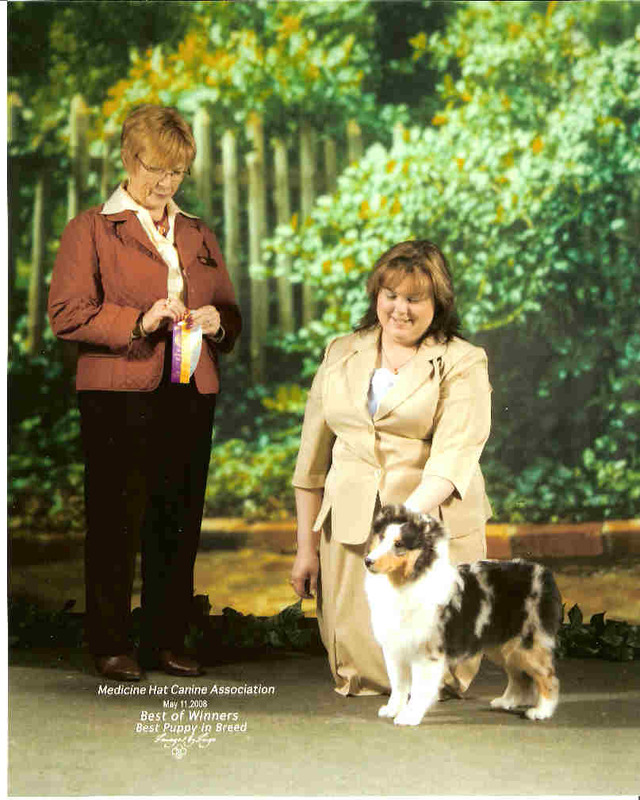 Blitz goes to the Sheltie Spectacular where he placed 2nd in the Canadian National under judge Nioma Coen and then onto Runner Up in Sweepstakes at the ASSCA Show under respected breeder judge Thelma Mauldin of Kismet Shelties, handled by Tracy Tuff. 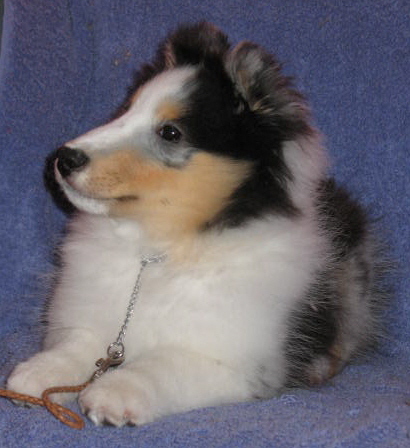 Pictured at exactly 6 months of age making his ring debut with Jenn. 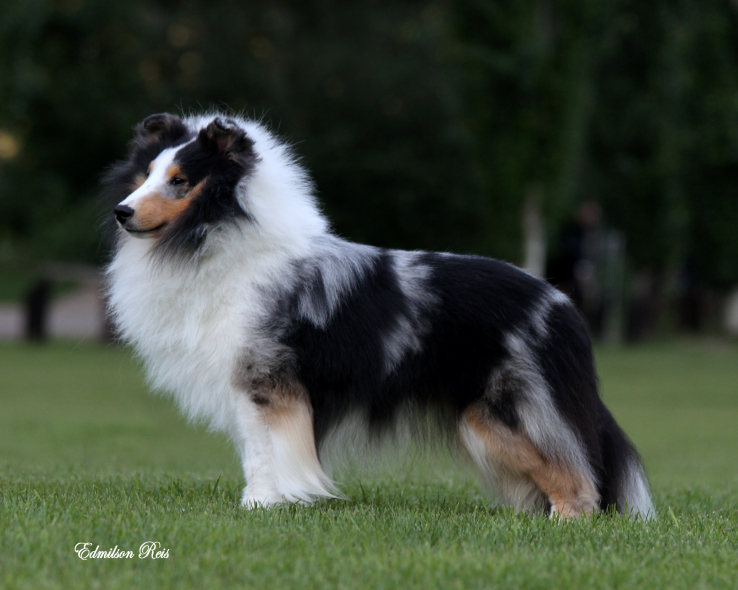 Blitz is Havoc's first blue offspring so we are quite anxious over this guy and he does us proud taking his first points the day he turned 6 months old.